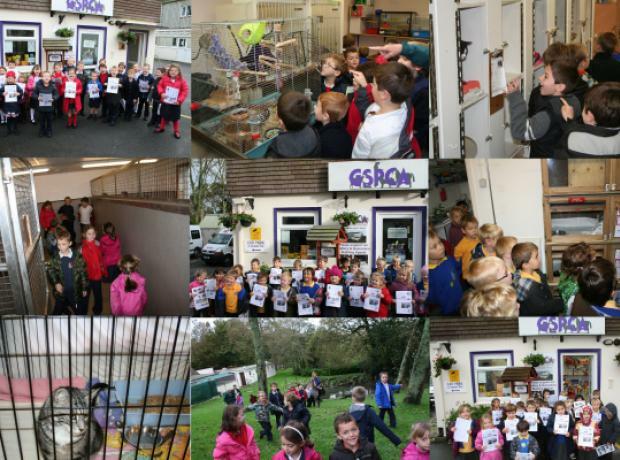 Last Thursday nearly 60 children from Vale Primary School visited the GSPCA for a guided tour and to learn about the animals at the Shelter. GSPCA Training and Community Officer was on hand to greet the many children off the many buses who then enjoyed seeing and learning about many of the animals with the team at the GSPCA. 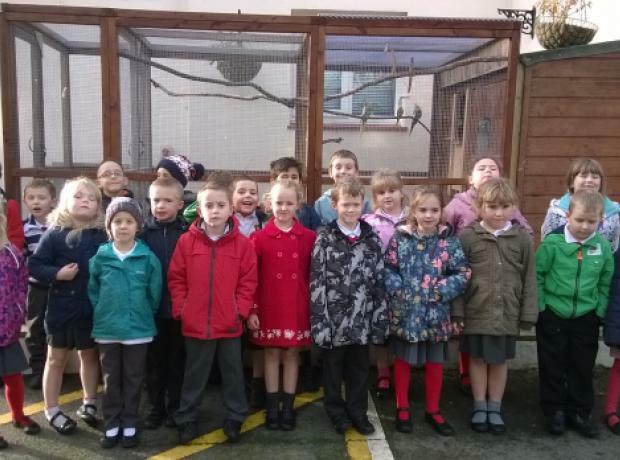 One of the schools to visit the GSPCA were Amherst Primary School from St Peter Port. The group were welcomed by the team at the GSPCA in the training and event room before being taken for a behind scenes tour at the Shelter. Last Friday the GSPCA welcomed students from St Sampsons High School for a visit and activities day. Sarah Creasey the Welfare and Education Officer met the students at the front the GSPCA Animal Shelter before showing the students the facilities in St Andrews and getting them involved helping around site. The GSPCA have been based at our current site since 1929 and the children learnt about the animals in our care and the work that is carried out 24 hours a day 7 days a week. On Thursday the GSPCA welcomed pupils from Vale School for a visit. Sarah Creasey the Welfare and Education Officer met the students at the front the GSPCA Animal Shelter before showing the children our facilities in St Andrews. The GSPCA have been based at our current site since 1929 and the children learnt about the animals in our care, the work that is carried out 24 hours a day 7 days a week and about our new build which is more than half way through. 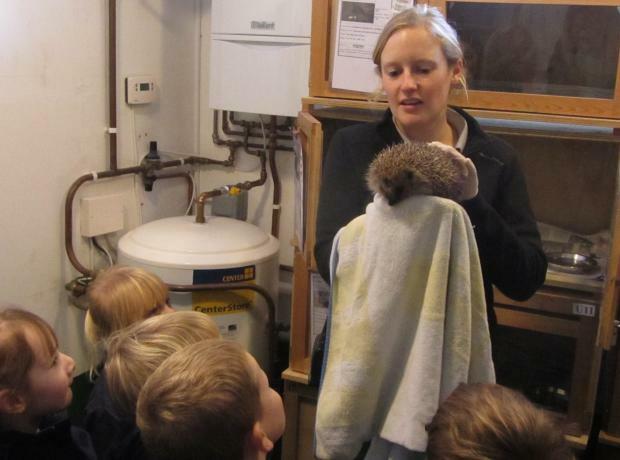 Last week 40 pupils from Acorn House visited the GSPCA to learn all about animal welfare and keep the animals at the Animal Shelter entertained. Lorna Prince Animal Welfare Manager and Sarah Creasey Animal Welfare and Education Officer looked after the Acorn House pupils. Shortly after the group arrived they were split in half so that each group could take it in turns having a guided tour of the facilities, whilst the other learnt about making enrichment toys for the animals at the GSPCA before swapping over. On Wednesday the GSPCA welcomed students from St Mary St Michael for a school visit. Sarah Creasey the Welfare and Education Officer met the students at the front the GSPCA Animal Shelter before showing the children the facilities in St Andrews. 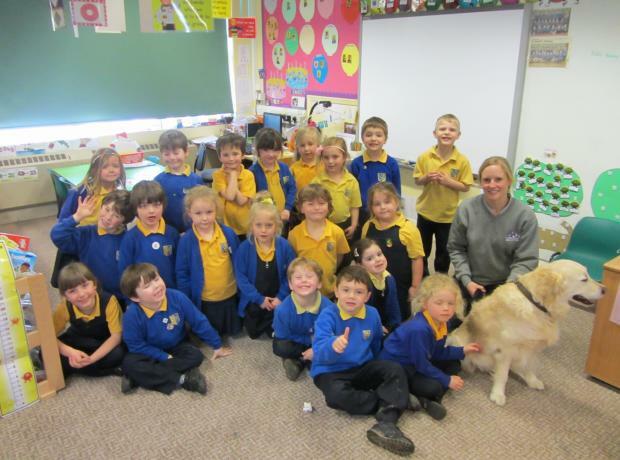 Last week (Tuesday 25th) Sarah Creasey the GSPCA Education and Welfare Officer visited St Martins reception with Brodie, the Golden Retriever, and talked to them about what we do at the Shelter, how too look after your pets and the best way to meet a dog. Education is a major part of the GSPCA’s work and something that we feel is vitally important to the future of animal welfare. 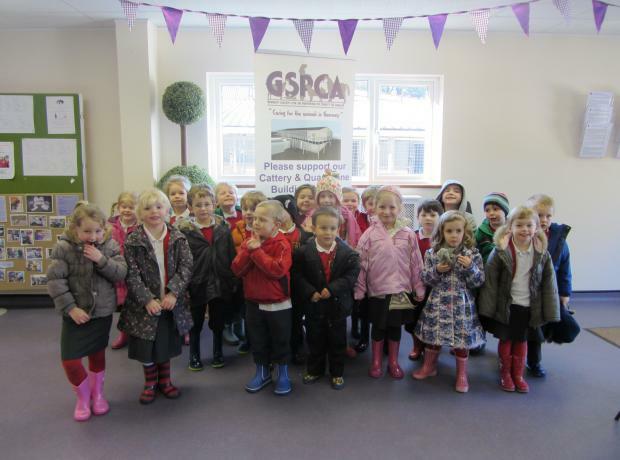 Yesterday the Vauvert Reception class got an opportunity to see behind the scenes at the GSPCA Animal Shelter. Sarah Creasey the Animal Welfare and Education Officer showed the group around the facilities and talked to them about the work we do. From hedgehogs to guillemots, rabbits to cats the children learnt how the Shelter helps care for thousands of animals every year. The GSPCA feels that education in animal care is extremely important and the children certainly enjoyed their time at the Shelter. 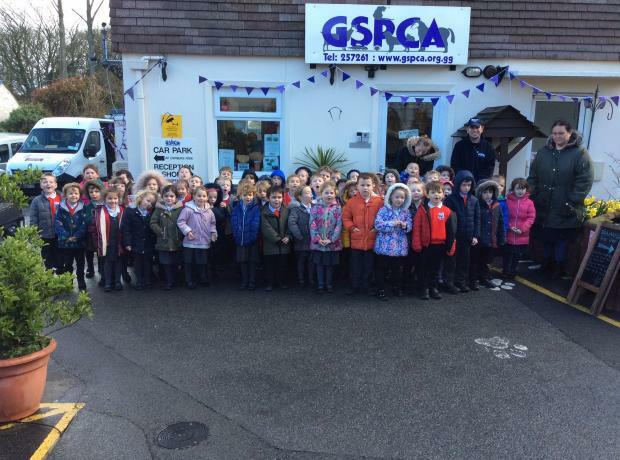 24 Pupils from St Sampsons who have been learning about Peter Rabbit and 47 from Castel who have been learning about how to run their own Animal Shelter recently visited the GSPCA to find out about the work of the Shelter. All three classes that visited were shown around the many departments by GSPCA Manager Steve Byrne who explained what the GSPCA did every day and tied in the talk with the subjects that the pupils were currently learning.